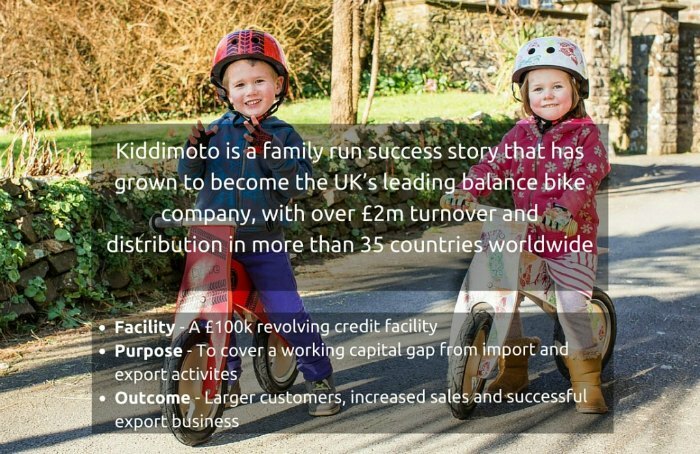 Having grown from a one man band in 2003 to being the UK’s leading balance bike company, Kiddimoto have enjoyed terrific success. It all started when founder Simon Booth designed and made 30 wooden balance bikes in his garage. And then he took them to a trade show. They were an instant hit because of their unique design, great functionality and quality craftmanship. 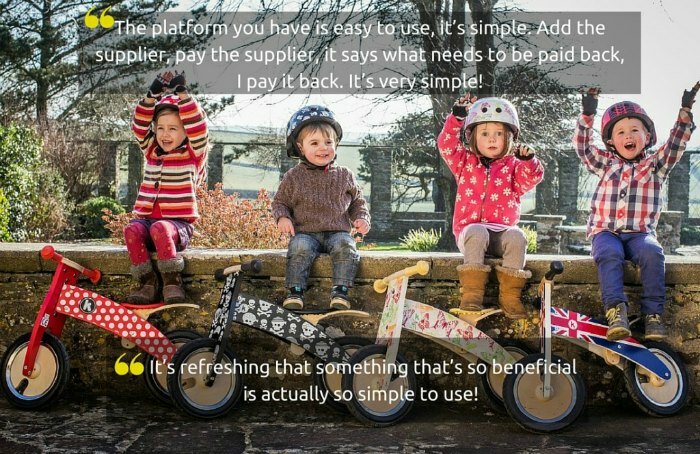 Support from Dragon’s Den, Hamley’s, the Queen’s Award for Enterprise, and of course kids’ love of their balance bikes, meant that demand soared. It was clear that they had to expand their operations, and so they relocated to a larger warehouse in the same area of Somerset. Also, to scale up production, they moved the manufacture of their 100% British-designed bikes abroad. With success came larger orders from retailers and ecommerce sites. Kiddimoto pays for its stock up front, but doesn’t receive immediate payment from its customers. They have up to 90 day payment terms. 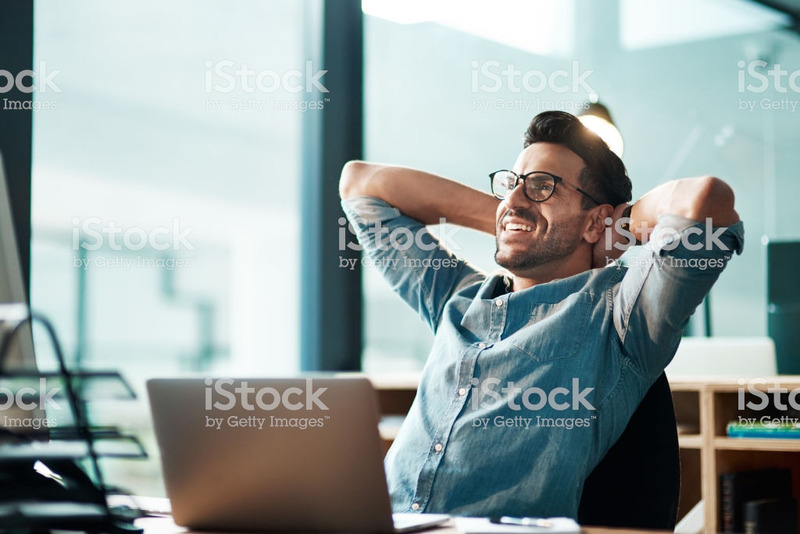 Therefore, the more success the company enjoyed, the greater the pressure on their cash flow. This meant that some kind of working capital solution was needed to support their growing order book. The Kiddimoto crew heard a Radio 2 discussion about alternative business finance while working in their warehouse – and that’s how they found out about Pay4. We worked with them to understand their business needs, and could see that this was a company on the road to success. We opened a £100k revolving credit facility to help them pay their manufacturers and other suppliers. 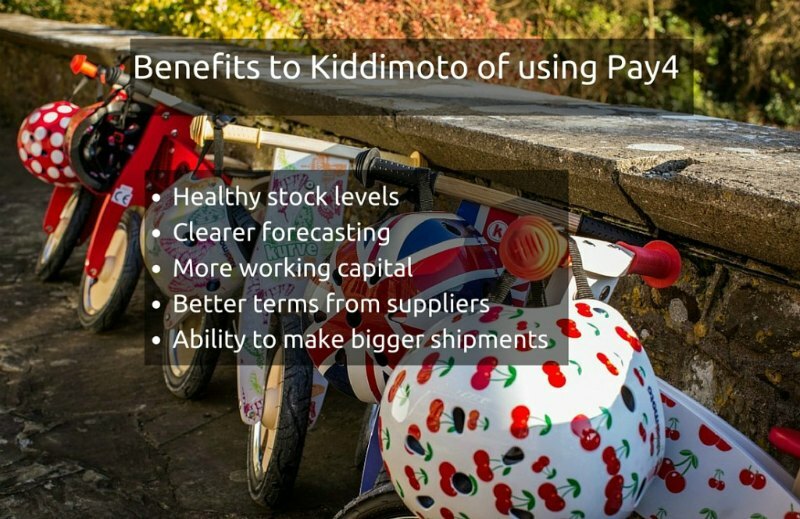 This was a working capital solution perfectly suited to Kiddimoto’s needs. Kiddimoto can now maintain healthy stock levels to take on larger customers and fulfil bigger orders. It also puts them in a great position to respond to growth opportunities. 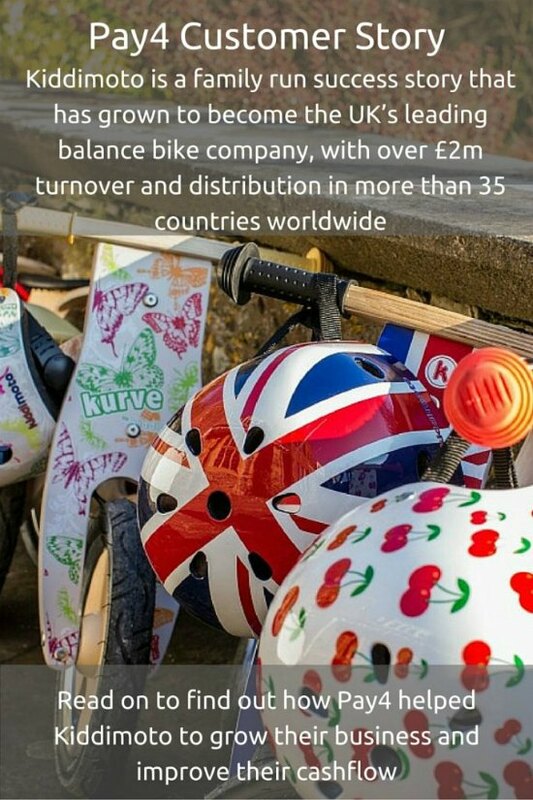 This keeps them in their rightful place as the original and best balance bike business in the UK.